Translate the written statement into a mathematical statement, and then compute the result. What is one percent of 1.5 million? Replace the words "one percent" with 1%. Replace the word "of" with a multiplication sign *. Replace the ? 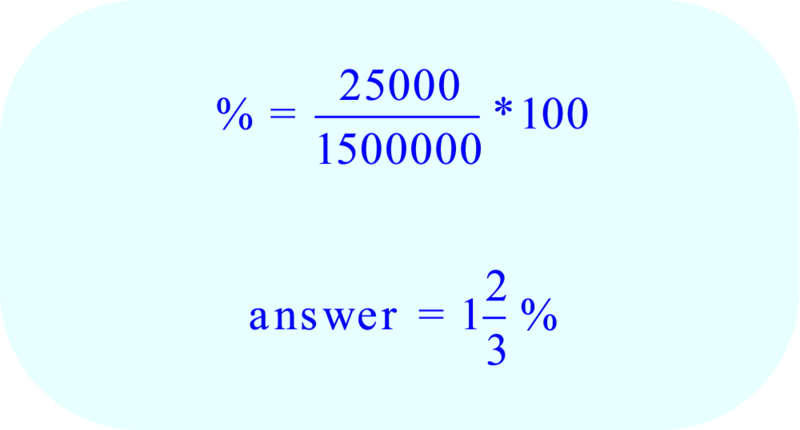 with an equal sign.